The most common type of arthritis, osteoarthritis is also known as age-related arthritis and degenerative joint disease. While it can affect people of any age, it is more common in older individuals. Studies show that 70 percent of people over the age of 70 have some evidence of the condition. Along with age, risk factors include obesity, injury or repetitive use, a family history and muscle weakness. Osteoarthritis causes the cartilage in the affected joint to become stiff and lose its elasticity and shock-absorbing properties. Over time, the cartilage wears away allowing the bones to contact. This causes pain, inflammation and a loss in your range of motion. Tendons and ligaments may stretch, resulting in additional pain. There may also be fluid accumulation and bone overgrowth. This places further strain on the joint. Recognizing the symptoms will help you understand when to consult a doctor. The degeneration is often caused by age-related wear and tear that usually occurs slowly. Although weight-bearing joints like knees and hips are most commonly affected, the disease can occur in the fingers as well as joints that have had previous injuries, inflammation or infections. While joint deformity is uncommon, discomfort can range from extremely mild to totally debilitating. While there is no cure for osteoarthritis, a number of treatment options are available. The goal is to improve your quality of life by decreasing pain as well as maintaining joint mobility and function. Individualized treatment plans are based on the severity and location of your arthritis. Medications used to treat osteoarthritis include over-the-counter pain and nonsteroidal anti-inflammatory drugs. These medications are very effective for mild or moderate pain. They can be in the form of oral capsules or topical creams. Your doctor my recommend prescription-strength medications if your symptoms necessitate their use. Cortisone injections may relieve joint pain while injections of hyaluronic acid may provide cushioning and improve joint lubrication. Physical and occupational therapy may also help with pain, discomfort and issues associated with the reduced functionality of your joints. A physical therapist can help develop an exercise program to strengthen muscles and increase your range of motion. An occupational therapist can show you ways to perform everyday tasks in ways that reduce stress and pain. You may also use a brace to support a joint or walker to relieve pressure on your hips and knees. Heat and ice therapy is also common. Patients may experience pain relief by using ice packs or moist heating pads. Surgery may be required if you have severe pain, excessive joint damage or very limited mobility. 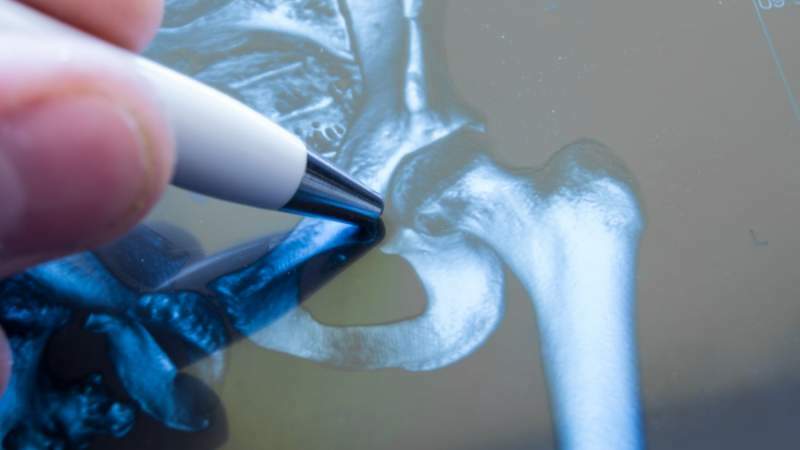 There are several different types of surgical procedures ranging from joint repair to replacement based on the location and extent of your osteoarthritis. A total joint replacement has the potential to dramatically reduce pain and improve a patient’s overall quality of life. Lifestyle changes like diet, exercise and weight management can be incorporated into your treatment plan. Research shows that certain foods can reduce inflammation and swelling. Look for food rich in omega-3 fatty acids. Reports published by the Arthritis Foundation show that a diet of vegetables, fish, whole grains and healthy fats could help treat osteoarthritis. You may consider adding nutritional supplements to your regimen. Studies have shown that a combination of chondroitin and glucosamine improve movement and lessen the severity of joint pain. Exercise strengthens the muscles around the affected joint. This provides better support, reduces pain, and increases functionality. Exercise increases blood flow to the area, which brings in vital nutrients. Unlike regular workouts, aquatic exercises offer benefits without placing too much stress on the body. Being overweight places additional pressure and stress on your joints. This can worsen osteoarthritis in your hips, knees, and feet. Losing extra weight reduces pain and inflammation and may improve your mobility. Medical and lifestyle treatments can be helped with alternative remedies. Complementary alternative therapies include acupuncture, massage therapy and electrical stimulation. Some studies have shown that acupuncture can relieve pain and discomfort while reducing inflammation. It may also improve joint function. Evidence suggests that an hour of massage therapy each week can increase mobility while relieving the pain and stiffness associated with arthritis. Transcutaneous electrical nerve stimulation uses electrodes to send impulses to nerve pathways and lessen some types of pain. Neuromuscular electrical stimulation excites muscle tissue to provide better support to your joints. Many people who have the disease are unaware of its presence until X-ray and other diagnostic tests detect it. Once you have received a diagnosis, your doctor can provide information about the normal progression of the disease and your treatment options. Although osteoarthritis may worsen, recent research indicates that the disease can ostensibly stabilize in some patients while improving in a small number of people affected. Rapid progression of the condition is not common. Less than 5 percent of sufferers require joint replacement surgery. Your prognosis can be helped by losing weight, exercising and resting your joints. Because the severity of the symptoms may worsen with anxiety, depression and negative emotions, it is important that you stay as positive as possible. If you are experiencing osteoarthritis symptoms, you should take a proactive role in your health care. Discuss the available treatments with your doctor. Although you may face challenges in the future, research from the National Institutes of Health indicates that individuals with the illness who actively participate in their care report less pain and require fewer doctor visits. Empowering yourself with essential information and taking control of your condition will enable you to lead an active and productive life.